Let's be real: it's a Sam Smiths pub, which formerly signified excellent value but now indicates only middling value, along with bearable beverages. But let's talk instead of old Louise's ground-floor saloon, which is truly, incredibly, spectacularly ornate: a warren of Victorian frosted-glass booths, each with direct access to the bar; mirrors; buffed wood panelling; a fire; and all the other decorative touches you'd ever care to appreciate. Trying to rendezvous with a drinking companion amid the nooks and crannies can prove a bit of a challenge, although it does mean you'll inevitably have the chance to explore properly. (There's a simpler, larger room upstairs, but where's the fun in drinking there?) 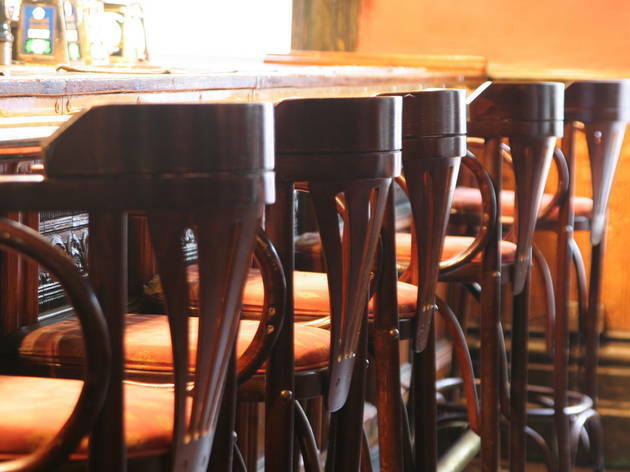 A preponderance of stools and bright lighting give the Princess a post-work rather than pre-night-out vibe, but much like breakfast, there's no reason not to make your first pint of the day the most important one. 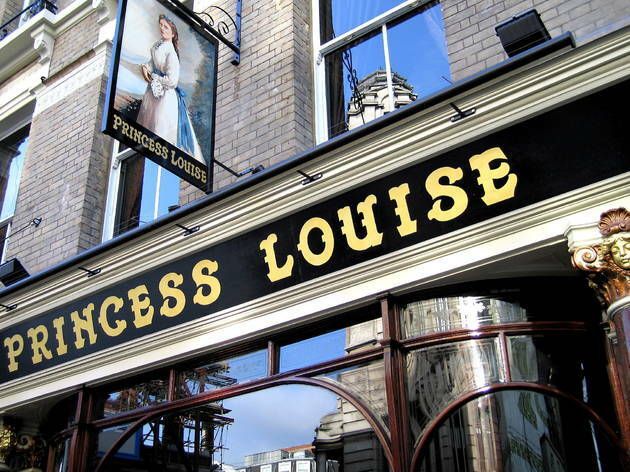 While the Lou has many of its original features the "Victorian frosted-glass booths" are about ten years old and were put in when the pub was refurbished in 2007. Before that it was a splendid if somewhat tatty one-room free house which was the Evening Standard's "1986 pub of the year" as a rather sun-bleached notice in its window testified. 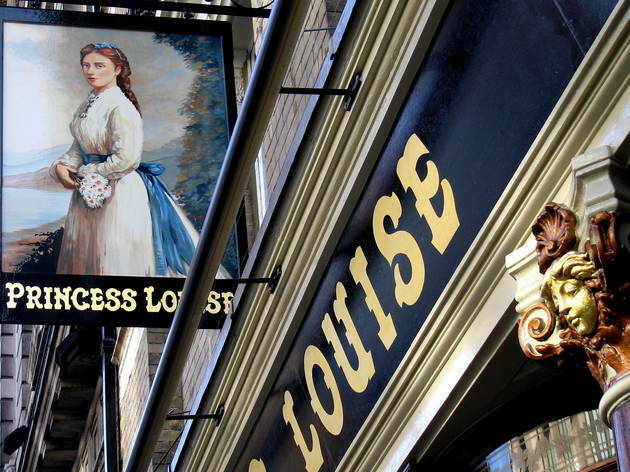 Samuel Smiths pubs are always worth visiting as not only do they serve good cheap beer, but they also tend to be charmingly old-fashioned and well maintained and the Princess Lousie is no exception. It's beautifully quaint glass booths surrounding the bar are its most unique feature and I don't doubt it must have been used for plenty of films. It can get rather busy though so you might have to sit it out if you're determined to drink in a booth! This kind of pub reminds me what people come to London for, a little piece of beautifully ornate history - a true depiction of the hey day of Victoriana opulence and gin parlours. If the walls could talk, I bet they'd have some stories to tell. The service is fine, the drinks are nothing to write home about, but that's not what you come here for. Staking your claim on a booth and soaking up the atmosphere is what this place is all about. This bar has a qwerty, dated interior fit out on the ground floor - each section of the bar in divided into booths which hold varying numbers of people, its great fun if you've got your own area but they can come hugely overpacked meaning its difficult to get served as the central bar is massive. 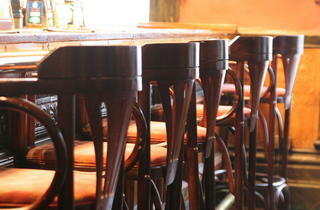 The drinks prices are relatively cheap, however the service can be a bit hit and miss. 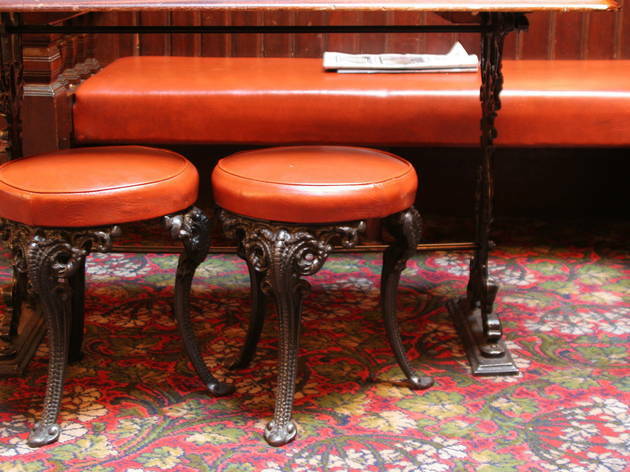 Step over the tourists and make your way into one of London's most beautifully ornate pubs - yes, it can get very busy (it features regularly in many guide books) but the interior is so different from most city pubs and oozes history. Also make sure you take cash as they charge extra is you use a card. Tastemaster Tip - although the downstairs bar can get extremely busy, you can usually find a table in the much quieter upstairs area (the stairs are on the left-hand side of the bar). One of the few places in central London where you question whether the barman added up the bill right as it a lot less than you’re used to paying. It is annoying that they charge you for using your card (on principle that I don’t think customers should incur fees in this day and age to use a card) but, even with that charge factored in, it’s extremely cheap for drinks. It does get rather crowded (understandably!) but it does start clearing out at around 8pm so you can grab a table/seat. Expect a fun experience just finding your friends. I literally went through many doors and into many little sections until I spotted my friends, a fun little pub maze. However all these wonderful crooks & crannys make the true appeal of the pub. The decor is lovely and really keeps in line with its original era. This is an incredible venue – not the kind of place you’d thought you’d find in Holborn. It has a gorgeous nineteenth century décor. The ground floor is designed in a very peculiar way: mini-booths surround the bar, each separated by Victorian frosted glass panels, spectacularly decorated with swirly lines. One of the most beautiful pubs I know. In the winter there’s even a fire to keep you warm and toasty. I haven’t eaten there yet so I can’t tell you about the food but the pints are cheap! Part of the fun is trying to find your drinking companions. Apart from that is a decent pub with an amazing interior. This is a brilliant central London pub! I'm a fan of Sam Smith pubs and this wasn't a disappointment. The staff were cheerful and the drinks were incredibly reasonable (as is the case with all Sam Smith pubs)! I'll definitely be back again. The toilets were a 6/10! 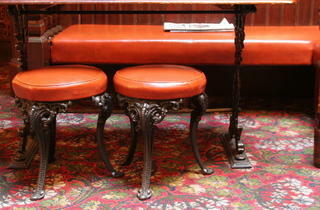 This is a beautiful and ornate pub with very little else going for it. The male toilets are seemingly original, straight out of Victorian London. 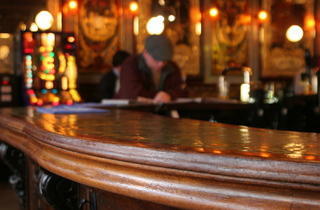 The pub is separated into a warren of booths, which can hold 10+ people in each, relatively comfortably. All of this is worth a visit but the other offerings less so. The downsides are the increasingly poor Sam Smith's lagers, beers, and ales, over-stretched staff leading to long waits at the bar, over-crowded booths leading to feelings of claustrophobia, and tatty/worn furniture that is no longer very comfortable to sit on. Overall I don't think the generous Sam Smith's prices and wonderful interior of this pub outweigh the negatives so I would advice people to look for alternative venues in the area, of which there are plenty. Great little after work pub! Perfect place to let the rush hour fly by. 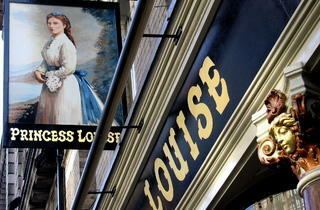 This gem of a pub close to Holborn is a must go to place in London. With a very British atmosphere, detailed decor, and a series of mini, almost private bars on the ground floor, this place has another plus: prices. 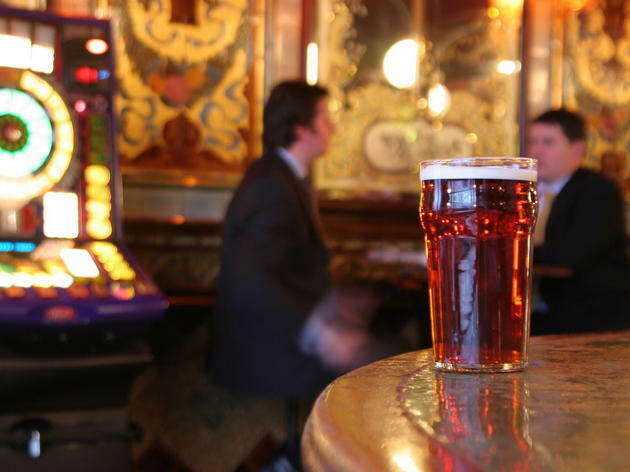 With a pint costing less than 4 pounds, and drink choices made from their own distilled booze, this will wow any visitor that you might want to entertain in the city. It is top 5 of my pub choices! Paid a visit on monday with an old colleague of mine for a catch up and was petrified. the staff are not happy and it is obvious as i was shouted at and death-stared on two occasions! 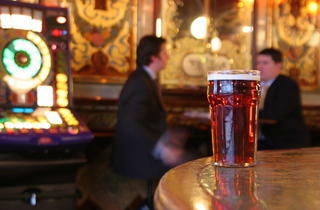 they've got to make profit so expect a pint full of head! 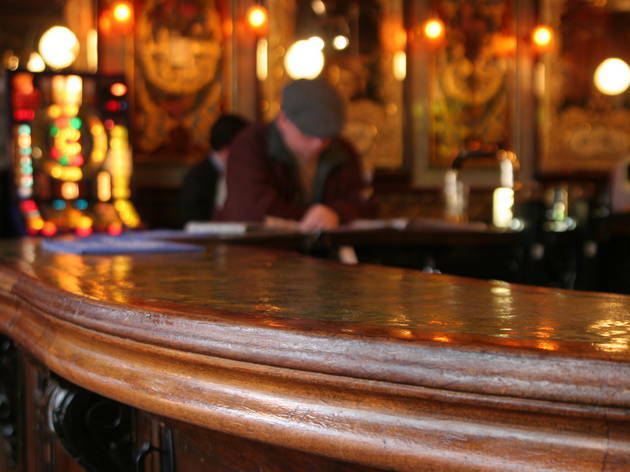 any aspiring bar managers should pay a visit to see an example of how not to be run. Beautiful interior and bar was spotless but i won't be back, for sure. Never experiences customer service like this in my life! So called standing manager was beyond rude and so aggressive, didn't how to talk and was throwing a massive tantrum. They have dodgy, made up house rules - just an excuse to show authority and shout at people. I have honestly never been to a ruder place in my life!! After spending several hours and several hundred pounds) in the bar, we got screamed at by what appeared to be the landlady for singing happy birthday!! Speechless!!! Lovely bar, shame about the rude and ignorant staff. Ordered a shandy and was given lemonade with a shot of beer rather than the 50/50 I requested. When I mentioned this, I nearly had my drink thrown at me by the bar maid, who then ignored me then when I got her attention by speaking to another (equally rude) member of staff she said that she didn't care as it was her last shift. I wouldn't go again. A great pub. Beer is fine, prices are excellent. 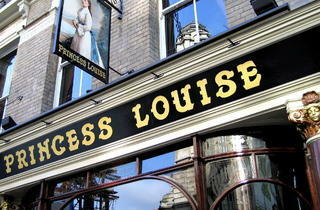 A word of caution: my bag was stolen from under my feet from this pub three weeks ago. Whoever it was clearly knew what they were doing. Watch your stuff like a hawk! Beautiful place and great wheat beer! Really unfair to describe Sam Smiths Ale as 'mediocre' their bitter and their best are both superb cask conditioned ales. Sure if you're a larger drinker there isn't going to be your usual selection of homogenised high strength 'imported' (read brewed under licence in the UK) beer ... but then that really is no bad thing. A great pub, with great beer at a sensible price. And no annoying background music either. Could a pub get any better? Oh - i forgot to mention the open fires in the winter... so yes it could. Really one of the finest boozers in London.